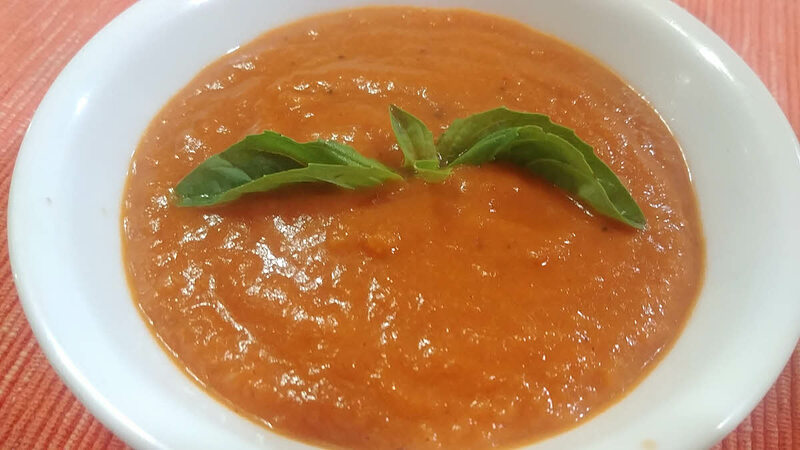 Making a creamy tomato soup is really simple. All you need is canned tomatoes, sauteed onions, oregano, red pepper flakes and cream. This recipe has been taken from the book “The Food Lab”. Click on the following image to buy it from Amazon. Now add the pepper flakes and oregano and cook until fragrant, about 30 seconds. Add the flour and cook, stirring, for 30 seconds. Pour in the tomatoes with their juice and stir, scraping the flour up off the bottom of the pan. Add the milk or cream and cook, stirring occasionally and breaking up the tomatoes with spoon, until the whole thing comes to boil. Reduce to a simmer and cook for 3 minutes. Remove the soup from the heat and puree using an immersion blender. Season with salt and pepper, stir in whisky if using and bring to simmer. Serve immediately, topping with olive oil, sprinkle of herbs and cracked black pepper.